When Bandai Entertainment shut up shop in the US, many of their big releases were left without a home. A number of their major licences such as Cowboy Bebop and Escaflowne were snapped up by Funimation, who have been careful to make sure these beloved properties are treated well rather than just rushed out. 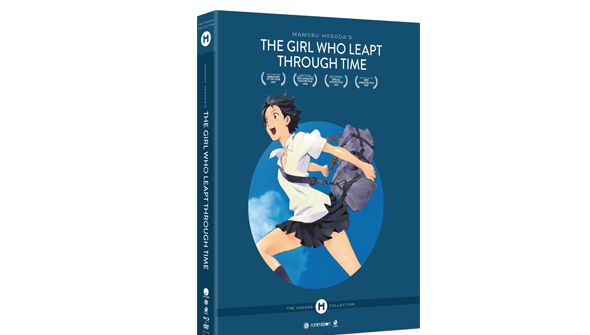 A former Bandai release that Funimation have only recently confirmed they have is Mamoru Hosoda's classic The Girl Who Leapt Through Time. 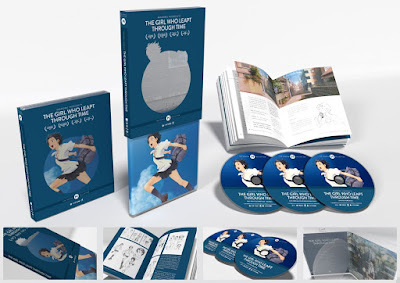 Via a listing on Amazon, we have now discovered that Hosoda's time-travelling gem will be re-released on June 7th, not only as a standard Blu-ray/DVD combo-pack but in a beautiful looking special collector's edition as well- check out the picture below. The special edition includes the film on Blu-ray and DVD, plus a third DVD disc featuring special features. The extras on the discs include a feature commentary, music video and storyboards. The package also contains a beautiful looking book about the film, and it all comes in a rather classy looking package as well. You can preorder it here. If you don't already own the film, this looks like the best edition to go for, if your budget allows. The film will also be released as a standard Blu-ray combo pack (including a digital copy). Even better- Hosoda's latest The Boy and The Beast will be getting its home release on the very same day. With Summer Wars already available via Funimation, US Hosoda fans will finally be able to complete their collections of all his films so far.